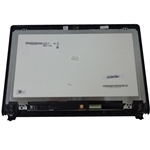 New Acer Aspire E1-430 E1-432 E1-470 E1-472 Laptop Lcd Touch Screen Module 14"
Home → Laptop Screens → Acer Aspire E1-430 E1-432 E1-470 E1-472 Lcd Touch Screen Module 14"
Acer Aspire E1-430 E1-432 E1-470 E1-472 Lcd Touch Screen Module 14"
Description: New Acer laptop touch screen led lcd module, 14". This part is black in color and is for a laptop with a touch screen only. The module is made up of the screen, digitizer and bezel. Compatible Part #'s: 6M.MF8N1.001, B140XTT01.1, 6M.4OOTP.001. 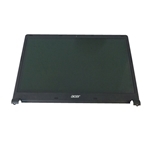 Acer Aspire E1-430, E1-430G, E1-430P, E1-430PG, E1-432, E1-432G, E1-432P, E1-432PG, E1-470, E1-470G, E1-470GP, E1-472, E1-472G, E1-472P, E1-472PG. Acer TravelMate P245-M, P245-MG, P245-MP.